Differences in breast cancer risk factors between Africa and developed countries: are tailored cancer prevention guidelines needed? Can palliative care reduce healthcare costs and strengthen healthcare systems? Cancer and other NCDs impede economic development at national level on account of their negative impact on macroeconomic productivity, incomes, healthcare budgets, and household impoverishment due to out of pocket expenditure. The cost of inaction far exceeds the cost of action. Progress can be achieved including through the mobilisation and effective use of domestic public resources including tobacco taxation, supplemented by international assistance and private sector support. Cancer and other NCDs are collectively driven by the same risk factors and often present as co-morbidities, while many other people live with both NCDs and communicable diseases. People suffering from multiple diseases require complex, ongoing, holistic care, and yet health systems are ill-equipped to respond. The burden of NCDs can be effectively reduced through adopting an integrated approach across the lifecourse, bringing together health and social workers across different specialisms. Is Malaysia ready for plain packaging? 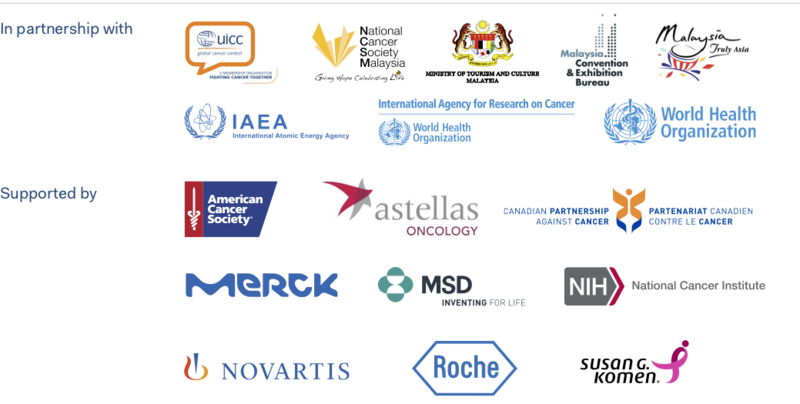 As the momentum behind universal health coverage grows, there is an increasing focus on how we can integrate cancer and NCD services to meet patients' and make the most effective use of finances and health system resources. This session will explore how palliative and supportive care has been integrated across health systems, drawing on successes from Rwanda, the Philippines and Mexico to explore how this can be done in every country and the stakeholders we need to achieve it. In the lead up to the UN High Level Meeting on NCDs, much of the dialogue focussed on the need for bold and innovative action on NCDs. A dedicated High-Level Commission was established by WHO, and tasked with developing a shortlist of recommendations to guide the next phase of the response. Discussions among Commissioners highlighted the political forces at play. While innovation is a crucial component of progress in the NCD Response, the next phase of the NCD era must equally focus on overcoming barriers to implementing what we already know works. NCD Café - Human Health in a Sustainable World: How can we Address Cancer and NCDs in Sustainable Cities? In a rapidly urbanising world, with more than half of the global population living in cities, the threat to human and planetary health is undeniable. However, concrete actions exist which are proved to successfully reduce air pollution, promote physical activity, and improve diets, with clear simultaneous co-benefits for cancer, other NCDs, and climate change mitigation. Cities also present a unique opportunity to provide access to quality health services for people living with cancer and other NCDs. Physical inactivity is the 4th leading cause of global mortality, responsible for up to 5 million deaths per year and costing the global economy billions of dollars in associated healthcare expenses. The growth of evidence now demonstrates the potential of physical activity as a win-win policy option across sectors, with active communities delivering economic, environmental and social policy benefits and with links across eight of the SDGs. Access to medicines and human rights: government obligations and the human rights of patients?